The Asia Foundation is a non-profit, non-governmental organization committed to the development of a peaceful, prosperous, and open Asia-Pacific region. The Foundation supports programs in Asia that help improve governance and economic reform and development, women’s participation, and international relations. Drawing on 50 years of experience in the Foundation collaborates with private and public partners to support leadership and institutional development, exchanges, policy research. With a network of 17 offices throughout Asia, an office in Washington, D.C., and its headquarters in San Francisco, the Foundation addresses these issues on both a country and regional level. In 2003 the Foundation awarded more than $44 million in grants and distributed over 750,000 books and educational materials valued at almost $28 million throughout Asia. How do I apply for a grant ? The Asia Foundation is not a general grant foundation. 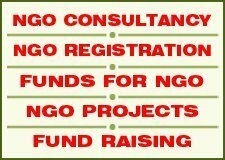 Our go to specific organizations in the Asia Pacific that fall within our programming areas of women’s participation, governance and international relations, and economic reform and development do not give funding to individuals that are not affiliated with projects or with institutions with which we collaborate. Most of Foundation’s grants go to organizations in Asia. For more information, please visit our grant guidelines page. Who is The Asia Foundation’s staff? Foundation program staff, both in the U.S. and Asia, hold a wide range of expertise, as well as years of experience throughout region. See Experts Guide. The Foundation has 350 employees both in the U.S. and Asia. How does The Asia Foundation receive funding ? The Asia Foundation’s budget comes from a combination of private corporations, individuals, and foundations, successful competition for funding from governmental and multinational development agencies, and an annual appropriation from the Congress. Who are The Asia Foundation’s grantees? The Foundation collaborates with private and public partners in Asia to support leadership and institutional development, technical assistance, organize exchange, conduct policy research, and develop educational materials. 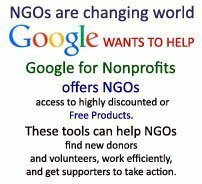 During the past years, the Foundation has supported more than 1000 non-governmental organizations throughout Asia. Committed to growing philanthropic giving to and within Asia, Foundation helped establish and support the Asia Pacific Philanthropy Consortium (APPC), and has also developed a partner foundation, Give2 Asia, which provides personalized services to help donors fulfill their charitable goals in Asia. The Women’s Advancement Fund is a focused effort to provide education and training opportunities to disadvantaged women and girls in nearly dozen Asian countries. This program will provide needy individuals with the skills and confidence they need to participate in their communities as active citizens, entrepreneurs, and political leaders – rather than as victims caught in a cycle of poverty, exploitation, and abuse. ordination and collaboration among women and women’s groups throughout the region. The Foundation has also helped link women’s groups with allies in government and civil society, well as with international networks and organizations that can support to their efforts. The Asia Foundation’s non-resident program in India addresses issues vital to the country’s continued economic and political evolution and emerging role in the international community. The Asia Foundation provides support to Indian institutions working to address important issues regarding international relations, the environment, women’s participation, information technology, and philanthropy. The Foundation’s engagement India dates back to the mid-1950s, when it provided project support for government, non-profit, and civil society and leaders. The Foundation maintained a resident office in Delhi from 1962 to 1968, and has continued a non-resident program to support for selected activities since then. In the early years, the Foundation provided books to local libraries, fellowships and scholarships for Indian students, and supported research and conferences on India’s democracy. In the early 1980s, the Foundation arranged and funded short and long-term study programs in the U.S. for several hundred Indian including many senior government officials. More recently, the Foundation enabled more than 50 Indian environmental leaders share experiences with counterparts in the United States short-term fellowship programs. The Asia Pacific Philanthropy Consortium (APPC), of which The Asia Foundation is a founding member and supporter, published seven country studies in 2002, including “Giving and in India.” The volume reports the results of a pioneering survey charitable giving and volunteering in a sample of 6,500 urban households. 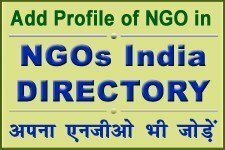 It presents 18 case studies of successful efforts by Indian NGOs to raise private funds locally through a variety of fundraising methods. The study is being widely publicized the press and in seminars conducted by Sampradaan, the Center for Philanthropy in Delhi, which organized the study, is among the five countries included in APPC’S current study of Philanthropy and Law in South Asia. The study is being by teams of local scholars in each country and will provide baseline data for non-profit law reform efforts in the five. The Asia Foundation supports The Sankat Mochan Foundation Varanasi, India, in its Campaign for a Clean Ganga (Ganges). Program has drawn attention to the plight of the dangerously polluted river, and draws upon the resources and talent of numerous volunteers in India, Europe, and the United States objective of the campaign is to clean the polluted river in the city Varanasi (Banaras), and to extend the use of successful clean-models to cities in the Ganges Basin that are most affected by river pollution. In 2002, the Foundation supported the Jal Foundation’s water management project in the Marwar region. The program focuses on the construction of water harvesting storage structures with an emphasis on community mobilization. The Foundation also conducted a three-day NGO-Business Environmental Partnership working group meeting at the Society for Development Alternatives in Delhi, involving Foundation staff from Nepal, the Philippines, Sri Lanka, Thailand, and the United States.